The first batch of cupcakes I made that I frosted was in February. 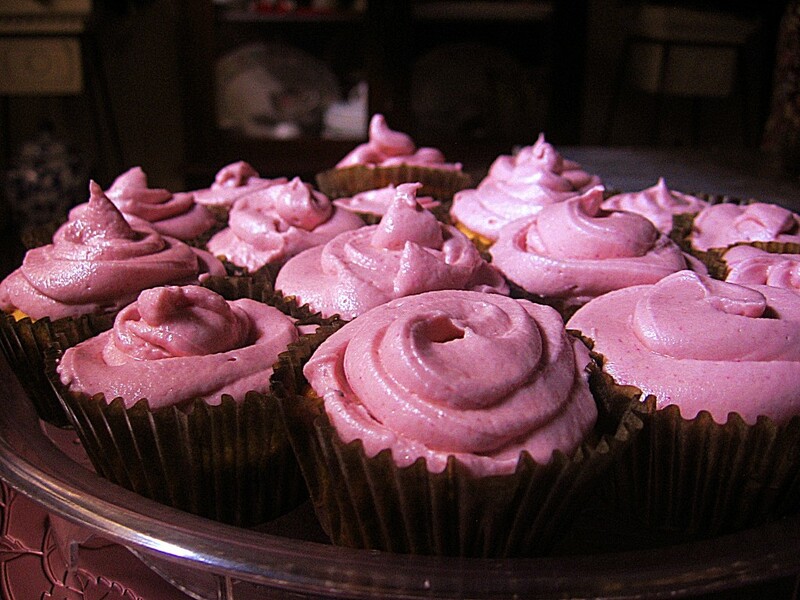 The frosting was made of butter, sugar and powdered grape juice. Because we live in a tropical climate, the humidity easily melted the buttercream frosting which we then refrigerated to prevent it from melting. Refrigeration caused the frosting to harden so eating the cupcake felt like eating a block of butter. After my birthday, I lamented over on Facebook that my birthday cake was the last cake I would frost in a little while. I expressed my problems with buttercream and my fear of using raw egg whites for frosting. My baker friends came to the rescue by introducing me to some frosting techniques and explaining how boiled icing is more apt for humid weather like ours. I promised I would give frosting another try. My friends celebrated their 9th wedding anniversary and I wanted to bake something for them. I wanted to do rainbow cupcakes with chocolate frosting but I was not successful with the chocolate frosting recipe and have of my cupcakes burned so I ended up giving them only 12 pieces of cupcakes with no frosting. Photo courtesy of my friend, Wela. Good thing, one of their children declared that he likes the cupcakes. In October, my aunt celebrated her birthday so I took it as an opportunity to bake cupcakes one more time. I think I got it right this time. 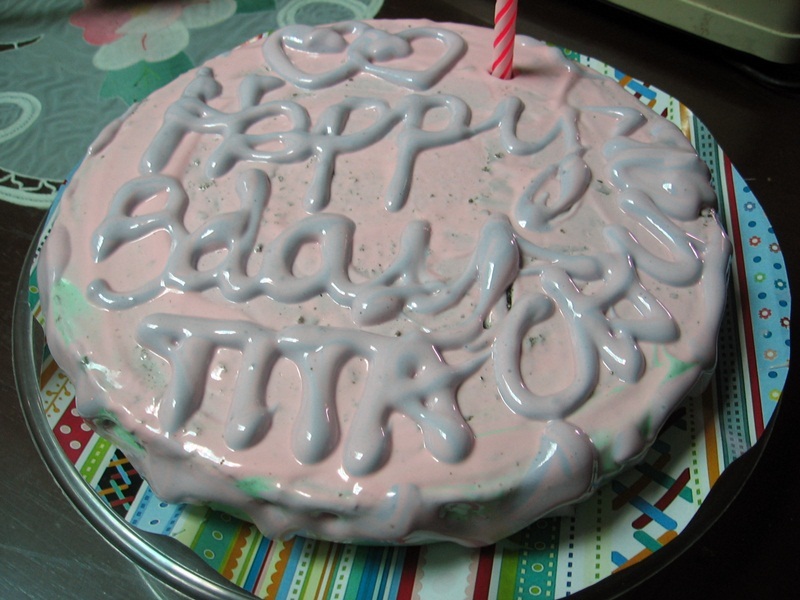 Thanks to my friends and boiled icing! A week after, I tried another batch. I wanted a cupcake frosting that looks like a rose. These are almost the rosettes I wanted but not quite. A reminder: Buy the Wilton tip 1M. 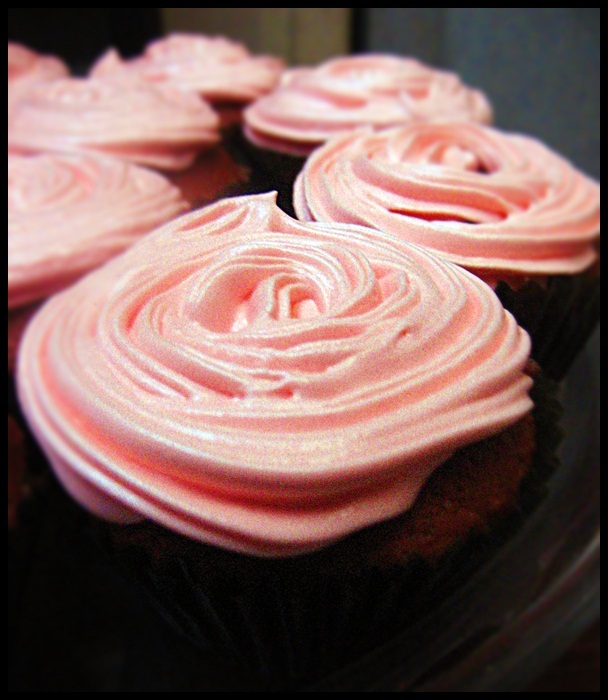 Two days ago, I was asked to bake cupcakes for my aunt’s get-together with friends and I came up with these. 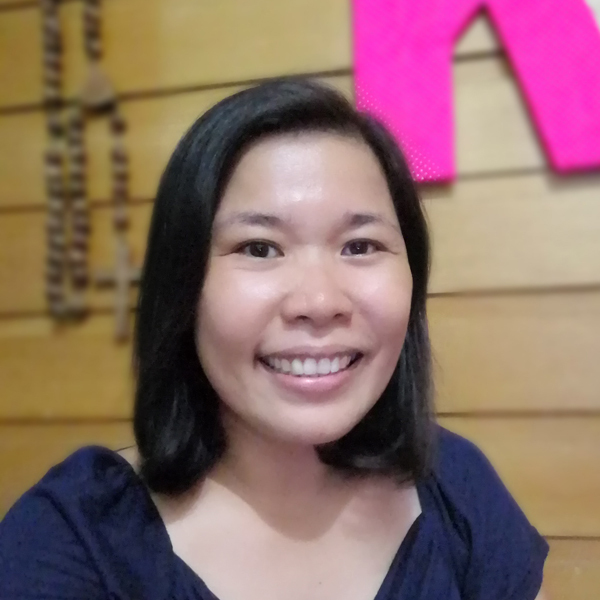 Because of all the cupcake baking I did, I thought about setting up a home-based cupcake business like those ebay sellers who are earning through their home-based businesses. However, I also realized that even a small online business venture requires capital to get the initial inventory going. Maybe I can tap those internet-lending scheme once I find the cupcake recipes I can be proud of. Who knows? For now, I just have to hone my baking talent first. Wow, those cupcakes look sumptuous! Good job! I’m a frustrated baker. I’ve never tried baking yet but I’m hoping its not too late for me. It is never too late for you! Practice makes perfect sis. And yes, why not open an online shop. Good luck! with boiled frosting, you need an electric mixer. sorry to hear about the lowered income but you’ll get by. basta sa province ka nakatira, mas mura bilihin. 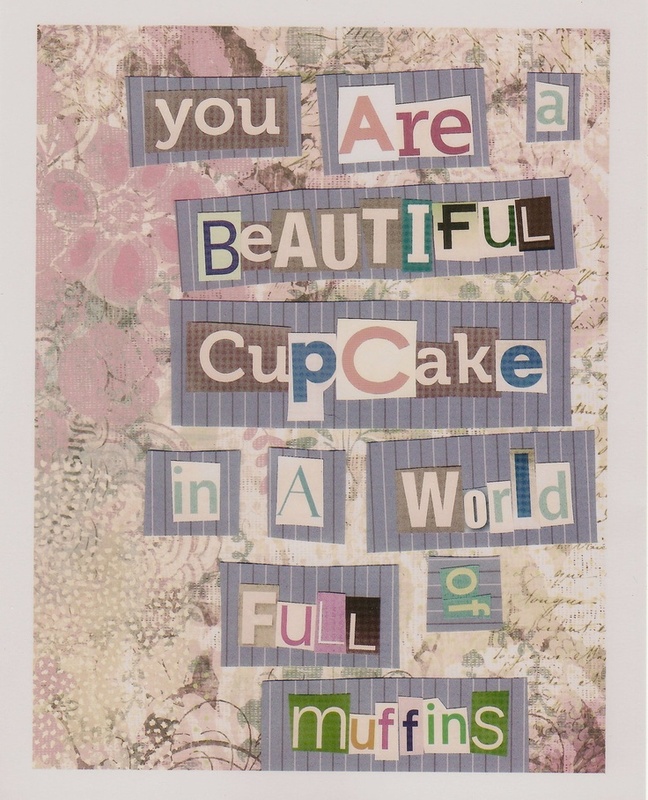 I love your collage on the cupcake among muffins! Learning this craft is very good… a birthday is never complete without a cake… even a cupcake! They all look so delicious. Making cup cakes is on my wish-to-bake already. Hehehe! I just wish I will have the correct thinking to follow the steps HEHEHE! Yummmmy! I love them with lots and lots of icing. Go with the cupcake business and goodluck! If you don’t want your icing to melt so fast you need to add shortening to it. Because of our tropical climate 100% butter will melt super fast. I do that for piping roses et and other stuff to put on my cupcakes. I will try that. Thanks, Dominique! Please do. I am still in search of a good recipe. It’s fun. I hope you get to try them, too. I envy people who are so good in baking! You’re so good!!! It took me awhile to learn how to bake them without burning. hahaha The cake itself, I still need to master some techniques or find better recipes. whee! I feel for you. My sister and I are acquainting ourselves with baking lately. We failed and succeed a couple of times. I guess the sweetest we got was the achievement. Your cupcakes look yummy, btw. I’m sure they are. People requesting you to bake for them must mean they like your goodies. 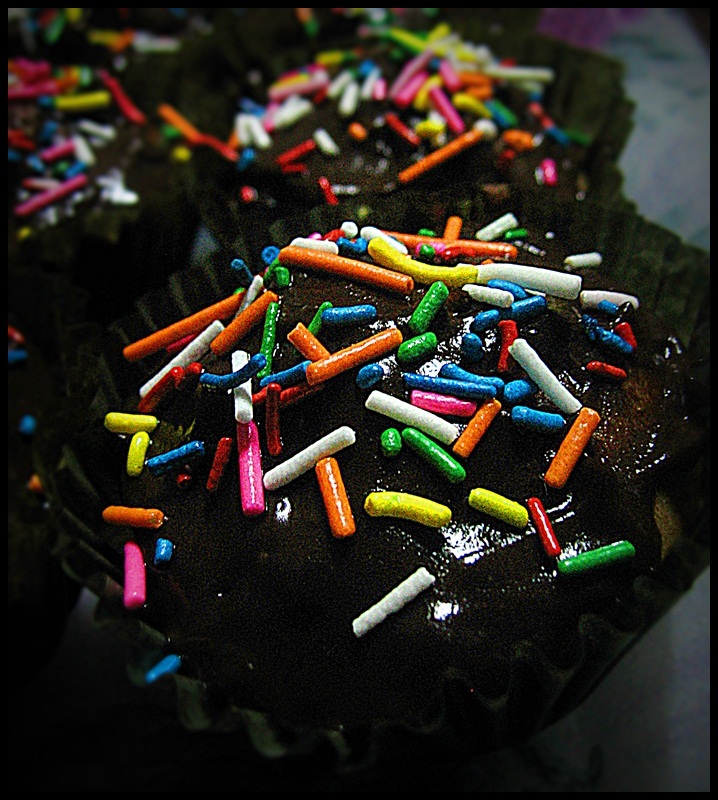 Im a newbie baker too snd its quite disheartening everytime a baking sesh doesnot turn out well. But the key for me is practice, oh i have tons of baking fail,but i just keep on. Your cupcakes looks yummy. They are cute too! Baking is a great talent, in my opinion. I have never tried baking, I’m still scared to attempt. I want do baking but unfortunately we don’t have the tools for making it. Hope you will be successful in this field. I’m also thinking of learning how to bake cakes and cupcakes and do more deserts… cos right now the only thing I’m good at baking would be anything polymer clay related, lol. But I’d love to learn… especially for my kids. I enrolled in a bakery class under the Alternative Learning System in a public high school here. It got me started into baking. Will look into specialty classes on cupcakes. Polymer clay baking sounds interesting, too! Those cupcakes look delicious! How did you make those rainbow cupcakes? Good thing you didn’t feel like making frosting then coz that would have hidden the wonderful swirl of colors. Makes me want to bake my own cupcakes, too! I just don’t know how to start. Haha.